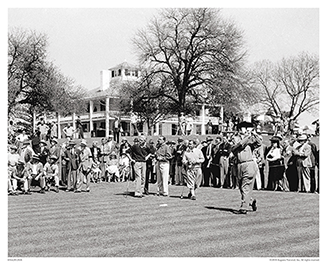 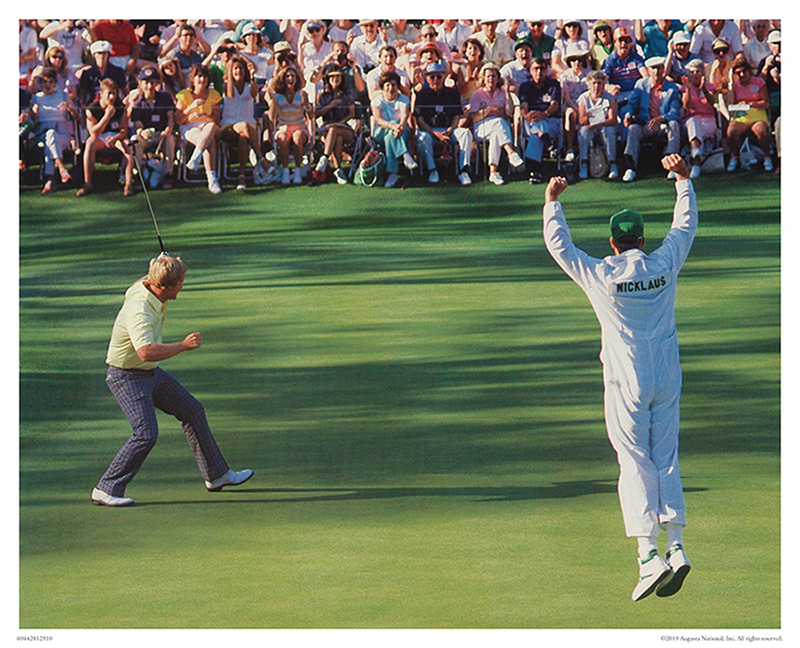 Jack Nicklaus celebrates Eagle on the 15th Hole in the Historic one-stroke victory at the 1986 Masters Tournament. 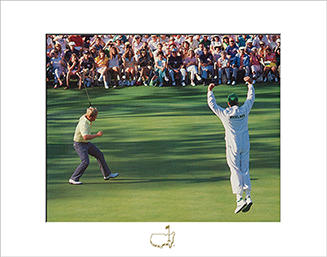 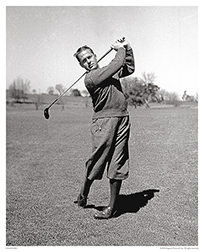 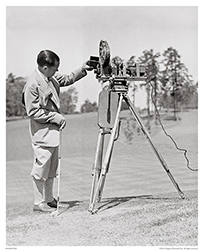 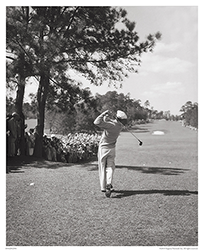 At age 46, he became the oldest winner of the Masters. 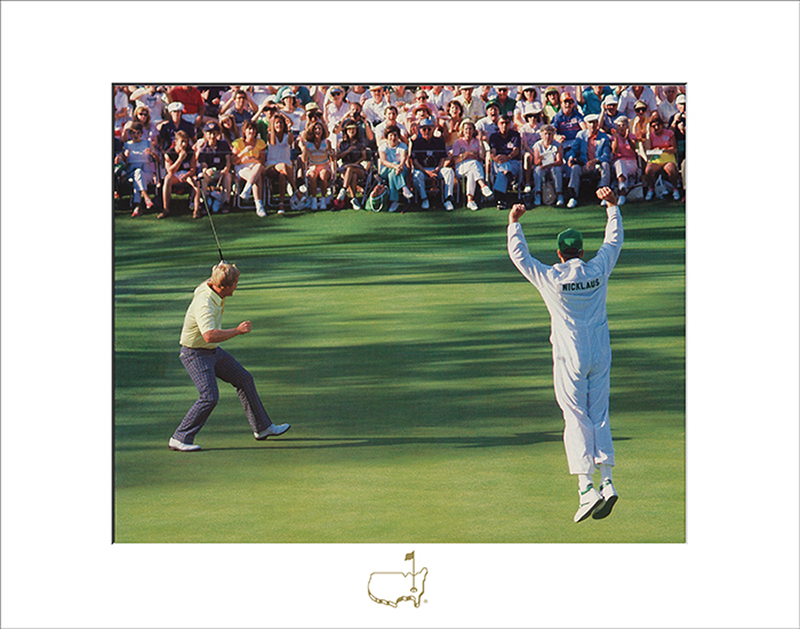 With his back nine surge, it was one of the most memorable and exciting final rounds in Masters history.